A storage condominium is a custom storage building that you own rather than rent. It is perfect for personal or business use providing long-term organization and storage solutions. This quality storage building can be a valuable extension of your home or business. The building is located in a storage community on common property with other similar buildings, and the property is regulated by a common set of bylaws. * SOLD OUT * All units in this development have been sold. 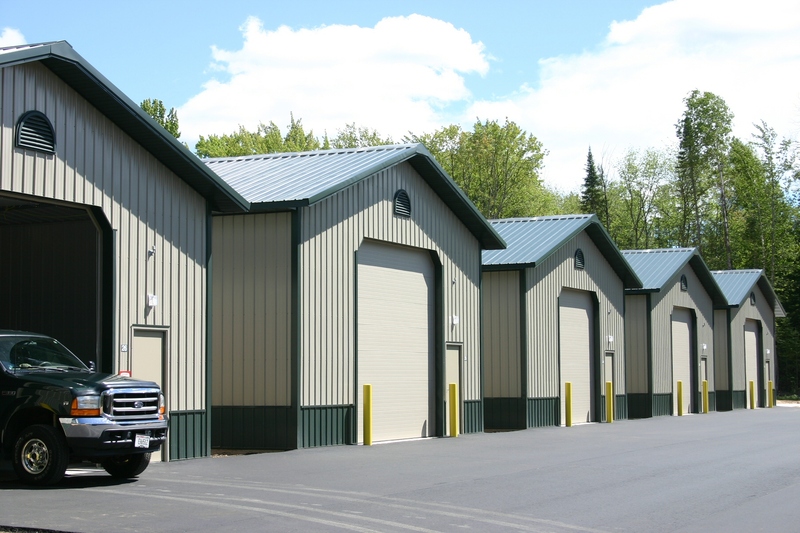 Please see our storage condominiums in Eagle River, WI. 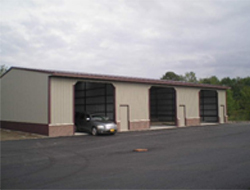 Commercial grade steel sided and masonry buildings with concrete floor and large overhead doors. personal storage and business warehouse use.